In the Ministry of Interior the management spent half a million Euros in only 10 restaurants. The amounts paid to these catering facilities amount to 30% of the total amount spent for representation in the last 5 years. They do not have equipment, they wear old uniforms, eat food that does not satisfy their needs. But their superiors eat in expensive restaurants with rich tables and spend a lot on catering services and representation. So for 6 years these two ministries spent 2.8 million Euros only for representation, of which the Ministry of Interior spent 1.5 million Euros, whereas the Ministry of Defense, without the Army of the Republic of Macedonia, spent 1.3 million Euros. In the Ministry of Interior the management spent half a million Euros in only 10 restaurants. The amounts paid to these catering facilities amount to 30% of the total amount spent for representation in the last 5 years. According to the documents that SCOOP came across, most desirable for lunches and dinners were the specialties of Vodenica, where the Ministry of Interior spent a total of 220,000 Euros, Anja 65,000 Euros, Zevs Ilijada 54,000 Euros, Intermezzo 48,000 Euros, Trend 38,000 Euros and Teatro 30,000 Euros. SCOOP researched who the owners of these restaurants are. 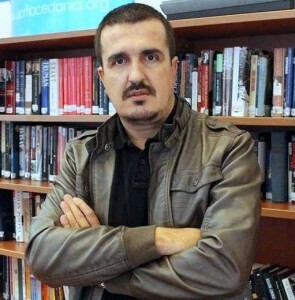 The owner of Vodenica is Stojan Filipovski, who is mentioned as the owner of one of the Vardar galleys. The invoices from this restaurant clearly show the logo of the security agency in public connected with Sasho Mijalkov, former head of the secret police and cousin of the ex-prime minister and leader of VMRO-DPMNE, Nikola Gruevski. Police unions say the figures are evidence that no one has taken into account the working conditions of the police.